The book profiles 24 different Lazy Angle Blocks and uses them to make more than 230 block combinations. 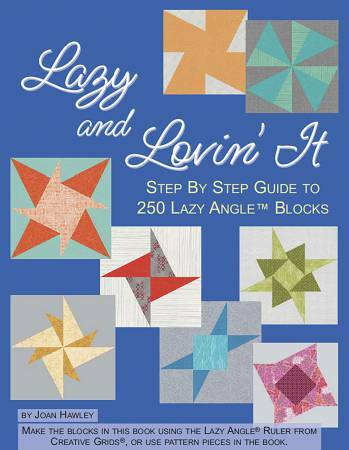 Learn how to create simple Lazy Blocks and then two, three and four step blocks. Use with Creative Grids Ruler CGR3754 or pattern pieces in the book. Lazy Girl Designs, LLC. 96 pages.